There is evidence that the Glen of Imaal Terrier is a centuries-old breed, but until recently it has not been well-known even in its native country. 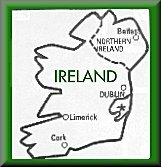 It originated in a place called the Glen of Imaal in County Wicklow, Ireland. Serving as all-around farm dogs, to guard and work livestock, to eradicate vermin, to hunt fox, badger, otter, mink, and so on, these earth dogs (terriers) were also reputedly used to turn kitchen treadmills, spits and churns, and in dog-fighting. The Glen of Imaal Terrier was first recognized by the Irish Kennel Club in 1934, and the Kennel Club of England in 1975. It has been recognized in many countries by Federacion Cynologique Internationale (FCI). 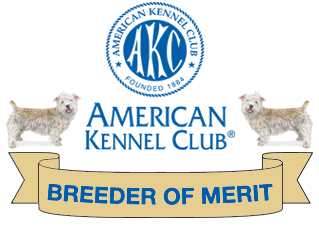 After a couple of decades establishing its presence in the United States, the Glen of Imaal Terrier finally achieved full AKC recognition on October 1, 2004.